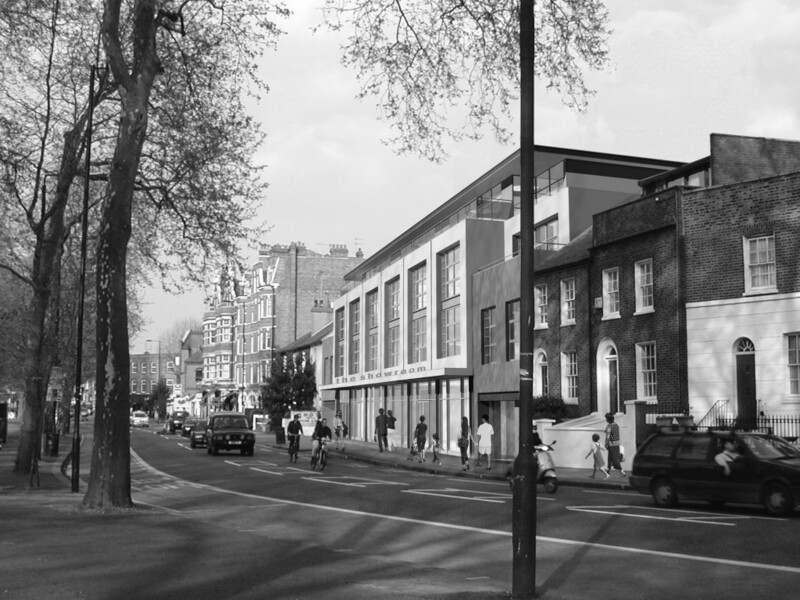 A large site in the Fulham Palace Road had been empty for twenty years. HEAT prepared a sensitive, contextual scheme with 10,000 sq ft of retail, a similar area of B1 and nine residential units above. Sometimes the planning system does not run smoothly and in this case the planners were combative and inconsistent and unfortunately, after a year of negotiation it was necessary to go to appeal to bring some focus to the discussions. Fortunately at that point, a scheme very similar to the original proposal was swiftly agreed and consented. The proposal picks up on the rhythm of the adjacent houses on this busy thoroughfare, with a modern interpretation of a projecting bay window and is an enhancement to the conservation area. The site was sold on and has since been successfully built. 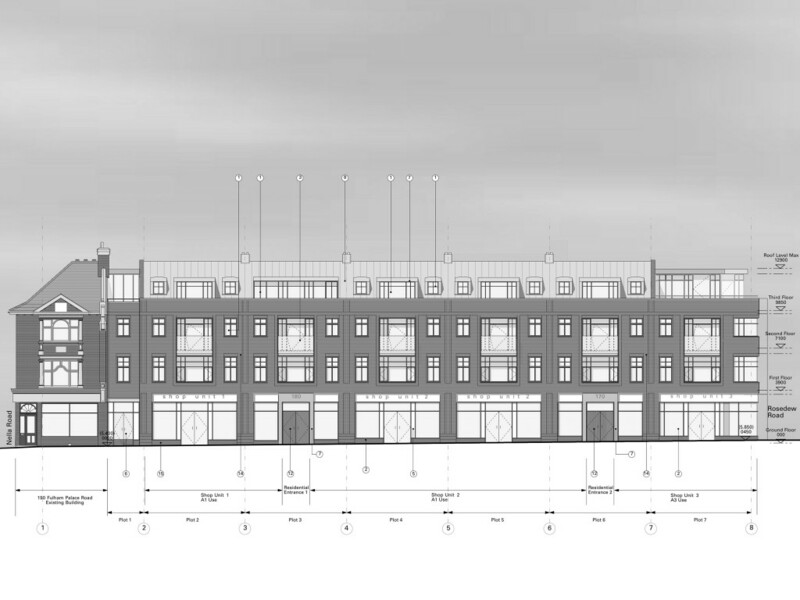 Planning consent has been granted by Hammersmith and Fulham Council for a four-storey new build 32,000 sq. ft. mixed-use development on the New Kings Road in West London for developer Starcrest Investments. Designed by HEAT Architecture, the consent comes as result of over two years of detailed negotiations with the planning authority and local residents. The development, which is set within a highly sensitive conservation area, will be clearly visible when viewed across Eel Brook Common. It is surrounded on three sides by numerous private residences, some of which are listed. The £6m proposal will provide nearly 8000sq.ft. of retail space along the 38 metre frontage, along with 13,600 sq. ft of offices and three penthouse apartments on the top floor. The loft style apartments make maximum use of north light with a full height glazed façade overlooking the Common. They will incorporate large domed rooflights set within the lightweight over-sailing roof canopy.